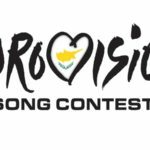 Eleni Foureira continues to conquer the heasrt of European audience, with “Fuego” remaining on a dynamic track, both in charts and on digital platforms. Shortly before the impressive pop queen goes on stage at the MAD VMA Awards in Athens, where will surprise us once more, and her first concert in Greece after the triumph in Eurovision on Tuesday, July 3, has one more great success. In particular, she continues to take the lead in the top positions of digital charts across Europe, surpassing in streams on Spotify all the entries of this year’s Eurovision event, approaching the milestone record of 20,000,000 Spotify Streams! 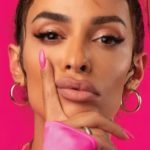 With 3 million monthly listeners at Spotify and sold out appearances in Europe, Eleni Foureira with “Fuego” brings together more than 75 million streams across all platforms.